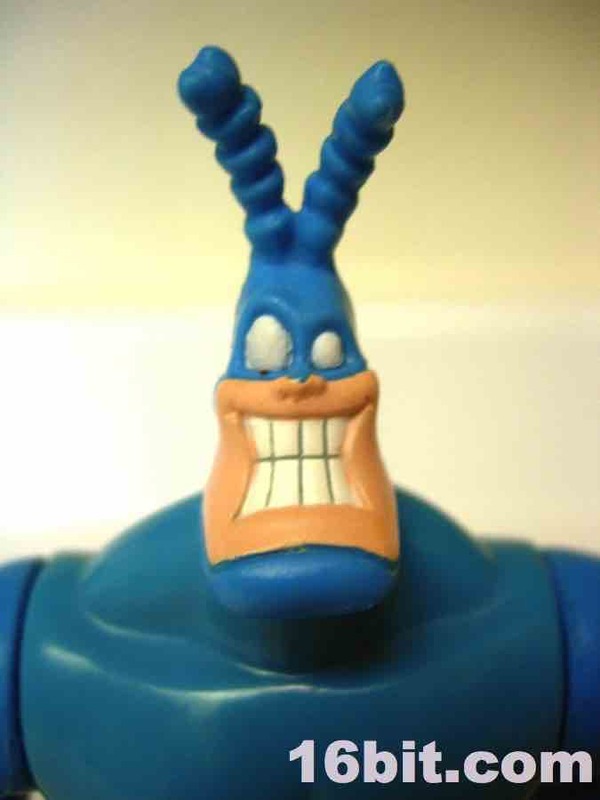 Standing about 6 1/4-inches tall, the Bounding Tick was one of the first versions of the character to exist in toy form, and was brought out by BanDai oddly enough. 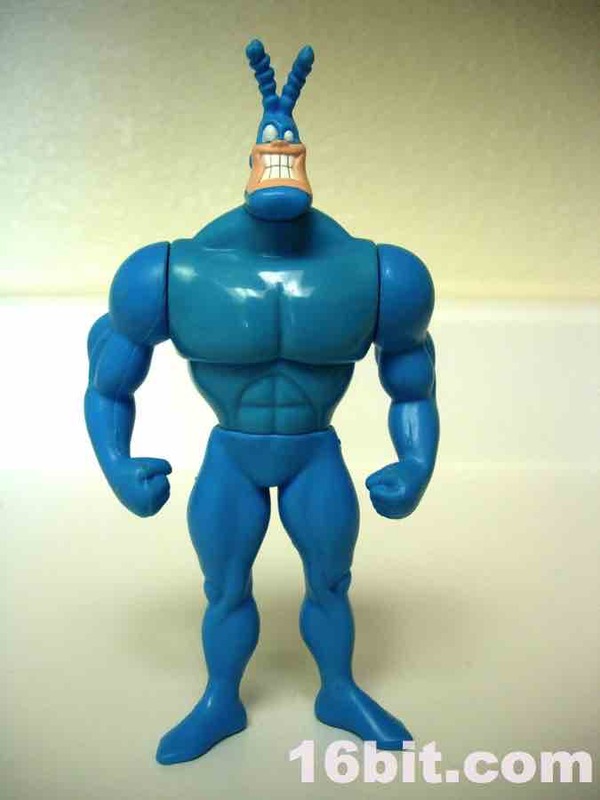 Weird superheroes and TV shows got a lot of love in the 1990s, so this was a perfect fit for the toy aisle, despite being almost-but-not-quite dead on arrival. The show was pretty successful and the fans were there, but weird toys like the Steel Box were dumped at Kay-Bee before Toys R Us even had a chance to bring them in and blow them out. 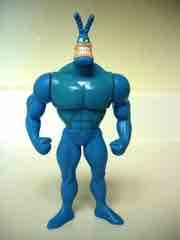 This figure was a toy more than a collectible, with jointed arms and a neck and that's about it. The part that looks like a waist joint is actually his action feature-- push him down and let go, and he'll jump a little bit. Well, that was the idea anyway. He'll jump up and faceplant. There, are you happy? 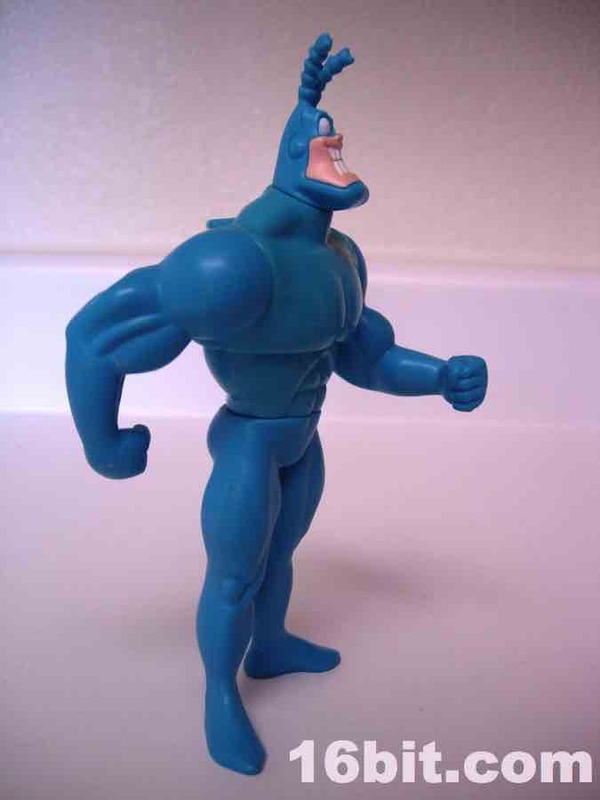 With few paint applications, this mostly-blue figure looks great and matches the style of the Fox Kids TV show on which he was based/licensed. (That's what the box said.) He aged fairly well, but you may notice the shades of blue don't quite match. 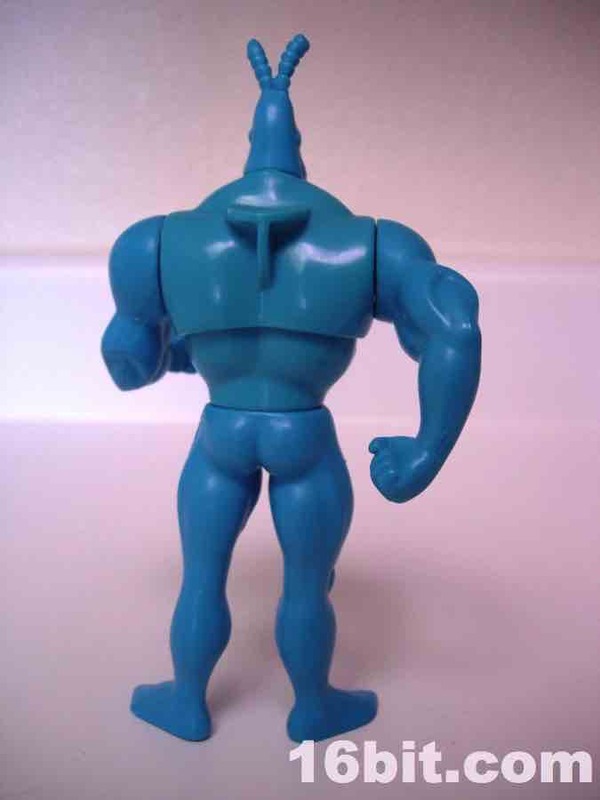 I kept this guy out of the sun, under my bed, in a box for about 10 years-- so sometimes aging can't be prevented and your toys are just going to look off as you get older. He doesn't do much, but he looks good-- which is sometimes all you'll need. 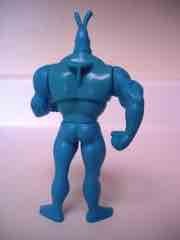 In addition to Bounding Tick's basic action figure line, there were a few talking action figures and 2-inch collectible PVC figures. Some figures like the Man-Eating Cow were rare to the point of being legends back in the 1990s, but the secondary market prices on eBay prove that today, nobody really cares to buy even the rarest figure of the line. 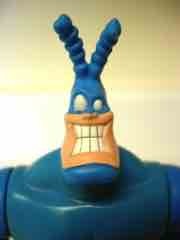 As such, it's a buyer's market, and these were some delightful, cartoony, and fairly statuesque action figures. Worth snagging on the cheap, definitely.